Welcome to Tarot Thrones – where the best Tarot card is always a Court card! You may have hopped here from Joy’s site or from Mary’s site. Or even just happened here by chance! It matters not a jot – you are very welcome! 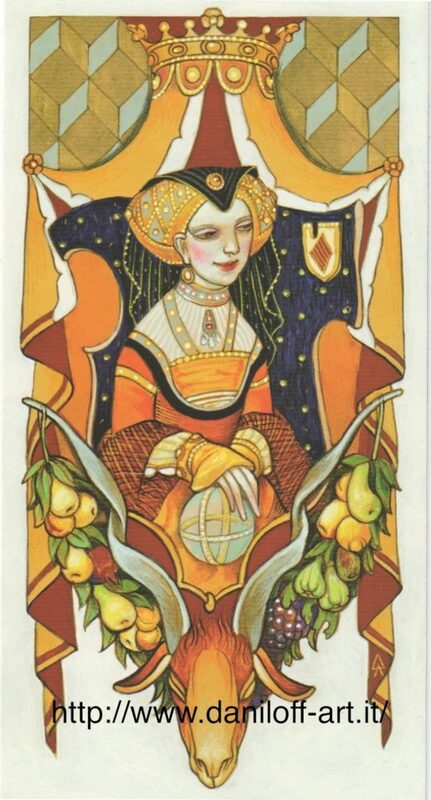 Our Tarot Blog hop wrangler, Joanna Ash from Sun Goddess Tarot set the Lammas challenge: write about the Queen of Pentacles. Since my blog is alllllll about the Tarot’s Court Cards, there was no WAY I was going to be left out of this particular round of the blog hop! 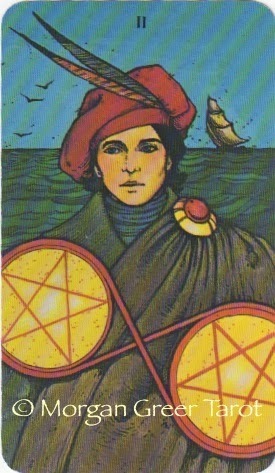 The suit of Pentacles is associated with our physical world – our health, our homes and our wealth. Our homes, suggests Pentacles, can be sanctuaries, places of safety and retreat from the hassles of the outside world; a place to cosset, recharge and hunker-down. However, it need not be a place of bricks and mortar – your home is where your heart is, so think about ‘home’ widely! Could your ‘home’ be your spiritual practice, perhaps? The Queen energy offers us an opportunity to care for, guard and nourish these three areas of our lives. Card 1: How can I best care for my health? Card 2: How do I best nourish my home and family? 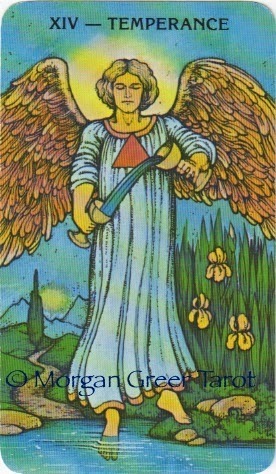 Card 3: What can I do to guard my wealth? How can I best care for my health? Although I work from home, I miss being in a place of work outside of the home. I miss the camaraderie and the laughs that come with being in a workplace. Sure, my days are very busy ‘in the office’ and I have lots of website clients and Tarot writing to do, but yanno, I’ve got to be honest and say that a lot of that busy time is on Facebook. Networking with similarly-minded people. Or looking at cute pictures of cats. Mostly the cats. Getting out of the house and back into a workplace will get me off my increasingly flat bottom. I think that it would be good for my mental health and self-esteem to get back into that environment. And then there is the issue of biscuits. And cup cakes. And tray-bakes. And Tunnocks Caramel Wafers. Reader, I have put on a lot of weight since leaving the Office, thanks to my sweet tooth and my decision that walking to the kitchen for something to eat actually counted as exercise. Having limited access to the sweet stuffs can only do me good! How do I best nourish my home and family? The most immediate feelings that I get from this are – if I look after my health, then it automatically has positive impact on my home and family situation. Also, getting a bit of balance will be useful – anyone who works from home walks a tightrope between ‘work at home’ and ‘family time home’. I often fall off that tightrope – my son once drew a picture of me and it was the back of my head while I sat at the computer. That was a *lightbulb* moment! I also see that being outside, perhaps walking (path to mountains), perhaps in my garden (flag iris and water). Paddling! Yeah, why not?! I need to get on with the garden and the growing of vegetables and flowers! Having a bit of fun outside! Step AWAY from Dogshaming.com! What can I do to guard my wealth? The first words that popped into my head were: ‘Balance the Sailor!’ which is not as bonkers as it might sound. There is a sailing ship in the background and my other half – the bread-winner – is in the merchant navy, so he’s technically a sailor. Although he would rather die than wear a bell-bottom. And a hornpipe is something that he would probably try to smoke. Maybe learning to juggle my money will be a good thing too – I tend to open accounts and just leave the money in there for ever, regardless of the interest rate. Maybe step up to that with enthusiasm and take responsibility for ensuring that my money doesn’t just stagnate? So, there you have it. The Queen of Pentacles advises me to take a more active role in my ‘wealth’, to make a better balance between work and home – get gardening! get outdoors! Step AWAY from Facebook! And maybe find regular ‘work’ outside of the home – perhaps volunteering in a charity shop might be a good place to start? Try the spread and let me know what you get! Now, either hop to the next blog, or hop back to the previous blog….or if the links are broken, hop over to Joanna’s Master List! Have to say, your son drawing the back of your head while you were on the computer made me laugh, in an ironic, it-could-happen-to-me kinda way! Well, that was interesting. Great post, as always, Ali, and no, we do not get tired of the Daniloff tarot. Although the Morgan Greer is very cool, also (still on my wish list). The draw on your spread held a bit of an interesting challenge for me: First card on health was the 10 of Cups. So, don't worry, be happy, and you'll also be healthy. Great! Nourish my home and family? Ace of Cups. With new love. So, 10 and 1, make some changes in feeling, obviously. 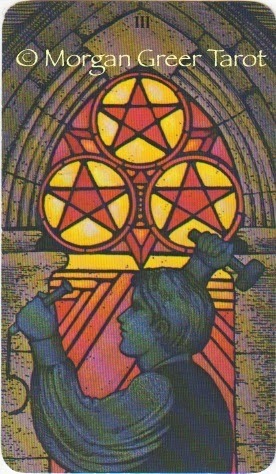 Because the last one is the challenge: 5 of Pentacles is what I can do to guard my wealth. How does that one work? My thinking for this one in this position is to know when to ask for help, and to understand that I am not in direct control, nor am I alone when things look difficult. But all in all, love and connection are my wealth, not coins. And this is so. I laughed out loud at "And a hornpipe is something that he would probably try to smoke." I love the M-G! One of my all-time favorite decks, and one of my very first too. Thanks for being my neighbor! I tried the spread and first two were pretty much what I thought they'd be… but for the 3rd – I pulled the Page of Cups… which on first look, I thought… Jeez! I'm not letting you look after my money! What are you doing here?? Excellent! And you mentioned Facebook cats who really should be a breed of their own. 😀 Really liked the spread too. Thanks.